The Farmer’s Market in Nyack is year-round in Nyack. 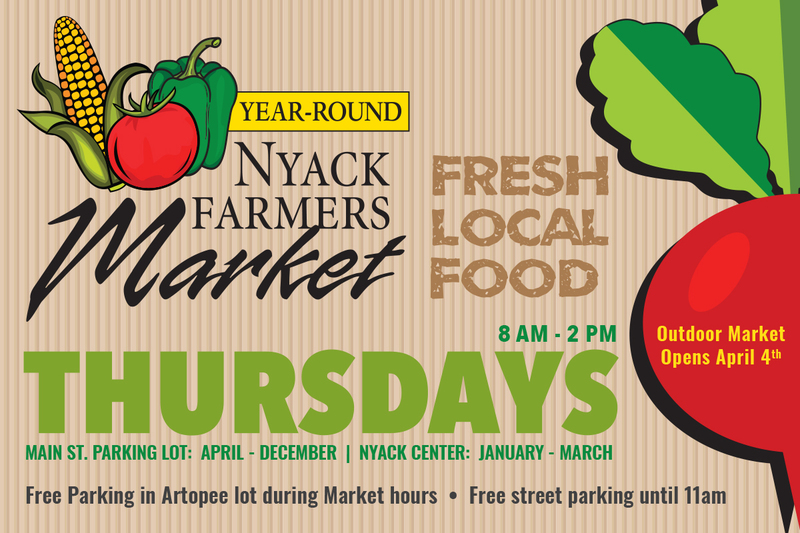 From December through March, every Thursday from 8am – 2pm, we operate at the Nyack Center located at 58 Depew Avenue at the Corner of South Broadway. From April through November, we are locate in Nyack’s main municipal parking lot. Join some of the greatest vendors in the region who come together to bring you locally produced food, featuring fresh, delicious produce, baked goods, sweet somethings and other great items. Local artist and crafts people offer unique gifts.